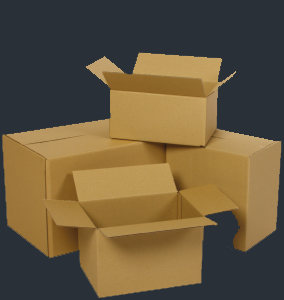 Are you looking for cardboard packaging in Ireland? We have trucks departing from the UK mainland daily, offering an unbeatable service for cardboard packaging in Ireland. With decades of experience in the UK cardboard packaging industry, you can trust Clifford Packaging for your delivery to the North OR South of Ireland. Make Clifford Packaging your first choice packaging supplier to Ireland, and whatever your destination across the four provinces of Ulster, Munster, Connacht or Leinster – you will not be disappointed. As an independent packaging company, we offer professional, knowledgeable advice (as well as affordable rates and quotes) for your Irish packaging requirements. 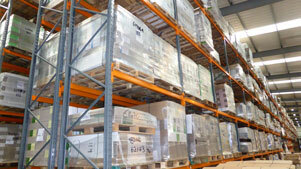 Our dedicated team are used to commissioning both standard and bespoke packaging and can also arrange for warehousing with Just in Time supply to help you manage stock levels efficiently. From our base in North West England we are ideally situated to use the most convenient and cost-effective ferry crossings available – including Holyhead to Dun Laoghaire or Dublin and Liverpool to Dublin or Belfast. Antrim, Armagh, Athlone, Ballymena, Bangor, Belfast, Bray, Carlow,Carrickfergus, Castlebar, Castlereagh, Clonmel, ColeraineCork, Craigavon, Derry/Londonderry, Drogheda, Dublin, Dundalk, Ennis, Galway, Kilkenny, Killarney, Letterkenny, Limerick, Lisburn, Monaghan, Naas, Navan, New Ross, Newry, Newtownabbey, Newtownards, Shannon, Sligo, Tralee, Waterford, Wexford, and others. Need a packaging specialist you can rely on? Look no further! Corrugated cardboard has a recycling rate of 84% in the UK – the highest recycling rate of any type of packaging. We’re always on the look out for talented people, and especially those with industry knowledge and the highest standards of integrity, quality and customer satisfaction service skills. Click below to get in touch. Corrugated fibreboard is environmentally friendly as the paper is sourced from recycled fibres or managed forests, with the capability of being 100% recyclable. Our manufacturing sites are BRC accredited.